Providing free massages to cancer patients while in Infusion Rooms and before Radiation treatment. Martha Paull is a 2010 graduate of the 500 hour massage therapy program at Lauterstein-Conway Massage School in Austin, Texas. She recently completed a four day oncology massage course taught by Tracy Walton and associates. Prior to becoming a massage therapist, Martha was a social worker with the State of Texas for 28 years, specializing in disability issues. She has a MS in Social Work from the University of Texas at Austin, 1983 and a BA in Psychology from Grand Valley State University in Grand Rapids, Michigan in 1977. She volunteers at Hospice Austin and has taken extra coursework in geriatric massage. 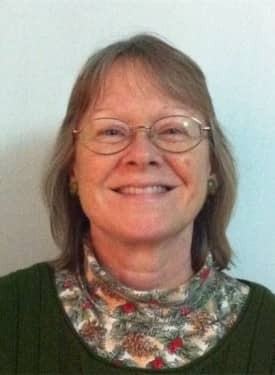 When not giving massages, Martha enjoys reading, hiking and traveling with her also retired husband, and being a mom to two teenage daughters.